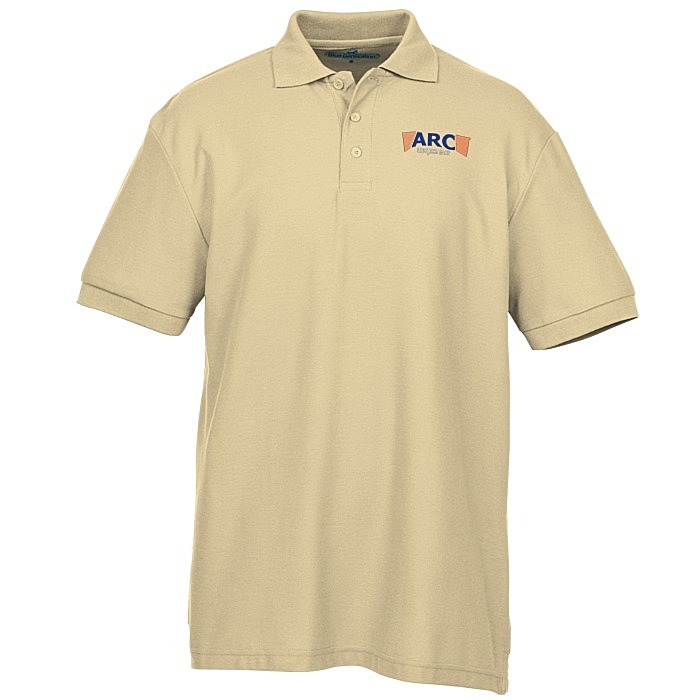 Get handsome embroidered work shirts at a blue-collar price! 23 color(s) to choose from! 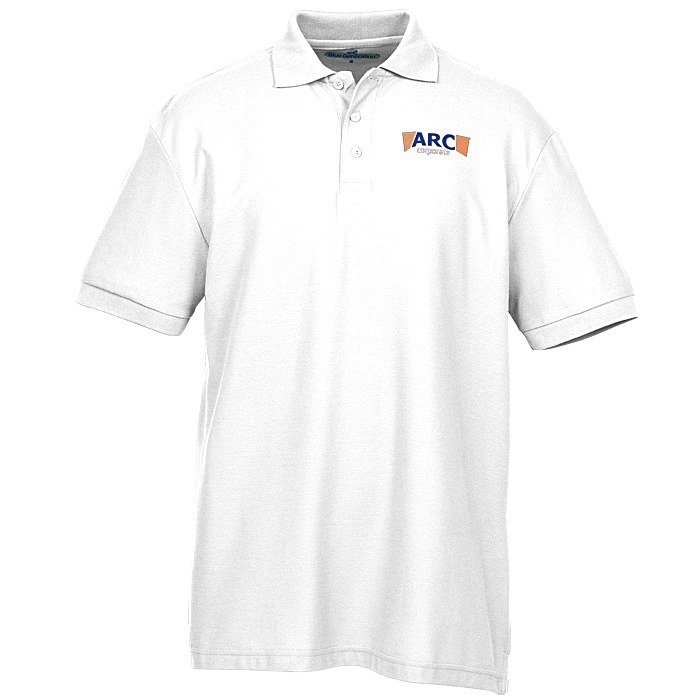 Wrinkle-resistant fabric, and a clean straight bottom will give your company a polished appearance. The classic sport shirt from Blue Generation® is designed with side vents for better range of motion. A rib knit collar, banded sleeves, matching buttons, and taped neck and shoulders provide the finishing touch. For the matching ladies’ version of this shirt, see item #104994-LSoft Touch Pique Sport Shirt - Ladies'. Sizes: S-6XL; LT-3XLT available in select colors.